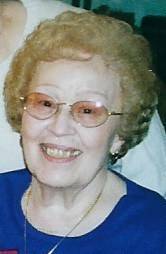 Dynda, Helen passed away November 29, 2016 at the age of 96. Loving wife of the late Louis for 61 years. Dear mother of Marcella (Richard) Plinka, and the late Leon (Karen). Beloved grandmother of Debra (Michael) and Daniel (Heather). Dearest great grandmother of Nicholas (Lauren), Marinna, and Shelby. Family will receive friends Friday from 4-8pm at Neely Turowski Funeral Home 30200 Five Mile (Between Middlebelt and Merriman), where a service will be held Saturday 11am.